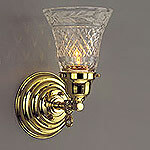 Here is a diamond cut glass shade dressing this lovely Colonial two light wall lamp. Custom width is fine. Perfect in pairs. 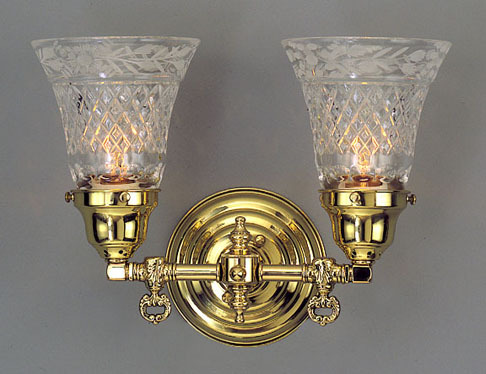 See the next light for the single light version MODEL NS179. Width 13 In. / Projection 6 In. / Depth 9 In.